Prominent & Leading Exporter from Mumbai, we offer orifice plates. 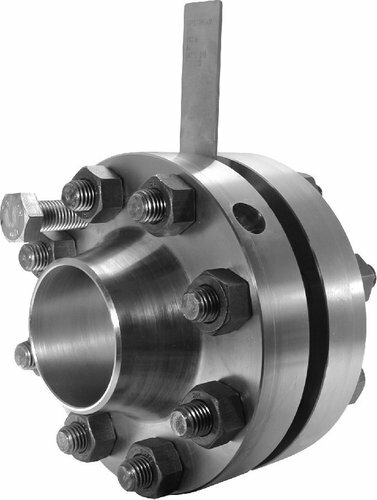 For many years differential pressure types of flowmeters have been the most widely applied flow rate measuring device for fluid flows in pipes that require accurate measurement at reasonable cost. Although a number of different types of flow rate-measuring devices are now available, the differential pressure type of flowmeter still makes up the largest segment of the total flow measurement market. This type of device has a flow restriction in the line that causes a differential pressure or "head" to be developed between the two measure-ment locations. Differential pressure flowmeters are also known as head meters, and, of all the head meters, the orifice flowmeter is the most widely applied device. Italian physicist Giovanni B. Venturi (1746-1822) in 1797 performed the first recorded work that used orifices for the measurement of fluid flows.